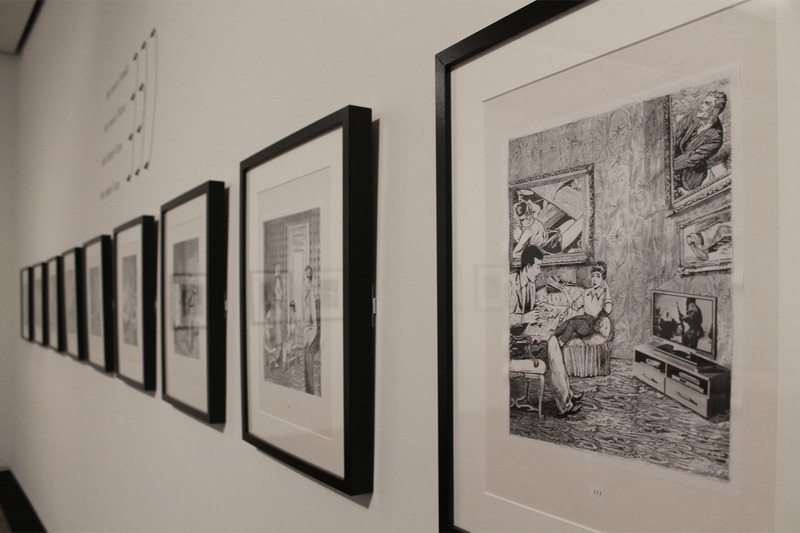 Gee Vaucher has recently opened an exhibition entitled Introspective at Firstsite in Colchester. This is the first major show of her art in the UK and it spans the last 50 years of the multi-disciplinary artist’s practice. The work from the first half of her career is characterized by searing political satire, which was intended as a force for social change. This included publishing the nihilist newspaper International Anthem and working for the New York Times, where she first started using collage. 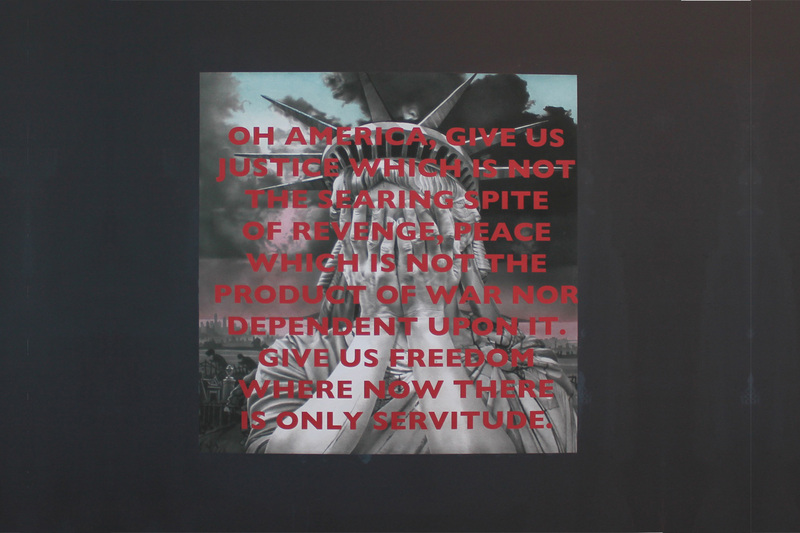 Her continuing relevance was underlined in the wake of the recent US elections when her 1989 painting, showing the Statue of Liberty despairingly holding her head in her hands, was featured on the cover for the UK’s Daily Mirror newspaper and shared widely on social media. In much the same way that Raymond Pettibon (covered) provided the artwork for the seminal punk band Black Flag and helped to shape the aesthetics of the US punk scene more generally, Vaucher did likewise for the band Crass and the UK punk scene. 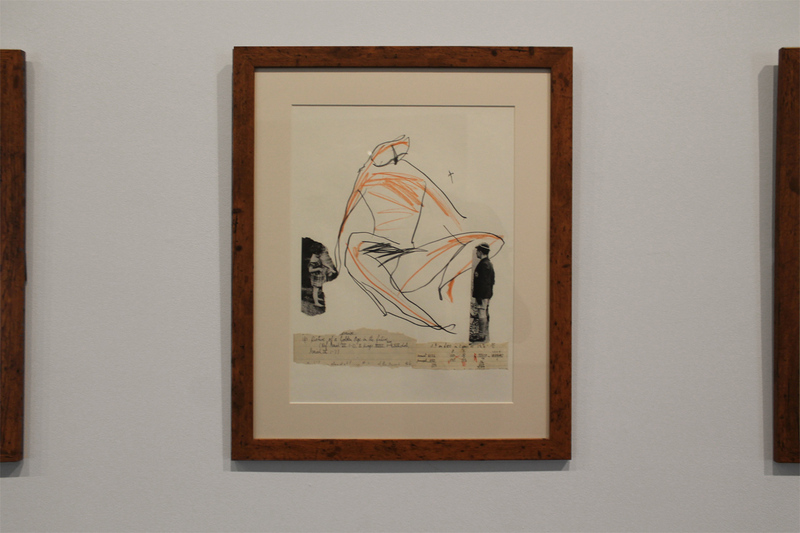 However, while Pettibon has become part of the gallery system, Vaucher has deliberately stayed outside of the art establishment and has refused to sell her paintings. 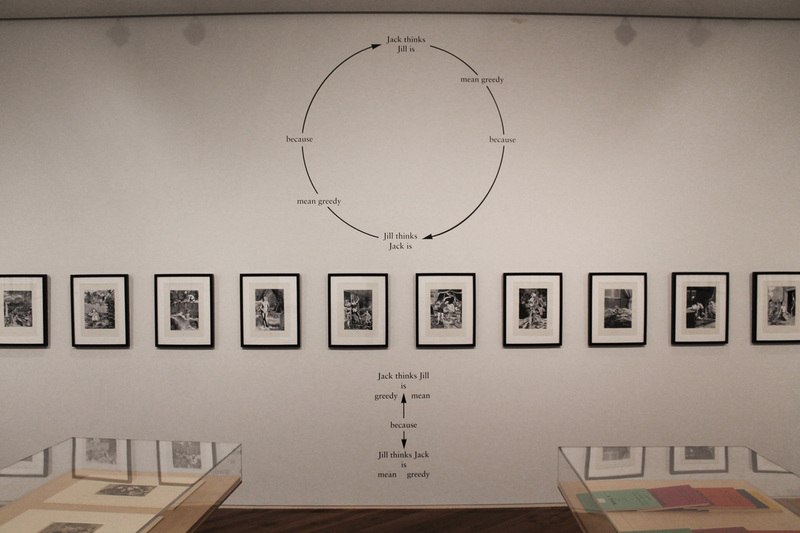 The septuagenarian artist has long rejected attempts to be categorised; however, Crass is often considered an anarcho-pacifist punk band and the exhibition includes a banner proclaiming the band’s mantra that ‘There Is No Authority But Yourself.’ Between 1977 and 1984, the Essex-based artist was responsible for the band’s DIY aesthetic and this exhibition also includes album covers, handwritten lyrics for The Immortal Death and various other ephemera such as badges, stickers and posters. 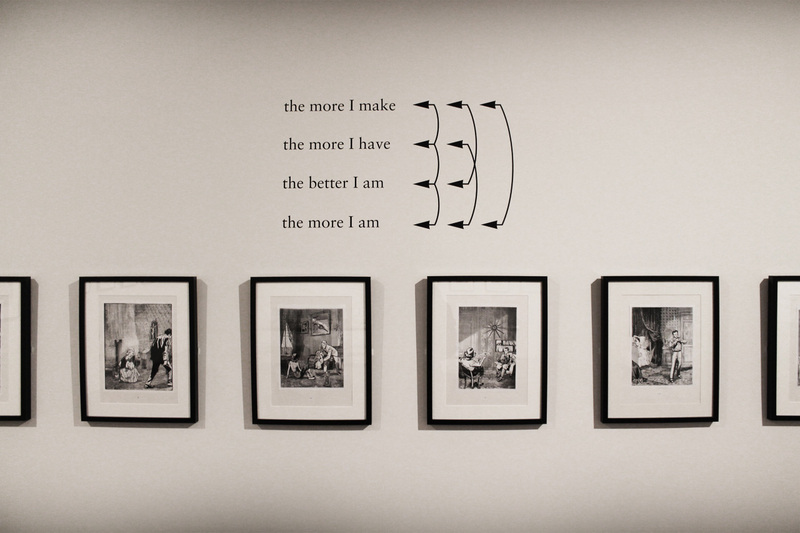 The paintings, collage and sculpture, which are collectively known as Animal Rites, pick up on Jacques Derrida’s deconstructionist philosophical question regarding ‘…what is proper to man and what distinguishes man from animals in general?’ This room of the retrospective suggests that Vaucher, who is a committed vegetarian, is squarely aligned with the thoughts of Peter Singer who noted that ‘All the arguments to prove man’s superiority cannot shatter this hard fact: in suffering the animals are our equals.’ In addition to substantial paintings of gaunt and dejected cattle, the room includes a large number of works depicting anamorphized animals with human faces, to suggest that any distinction between humans and many other species of animal is artificial and erroneous. 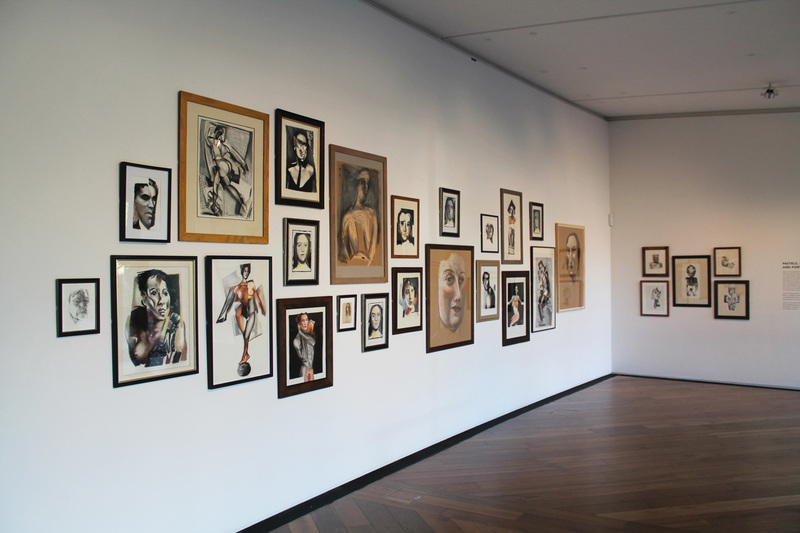 The show demonstrates how over time her art has become more personal and freer in expression. An example of this more intimate work is the room displaying her large-scale canvases entitled Children who have seen too much too soon. 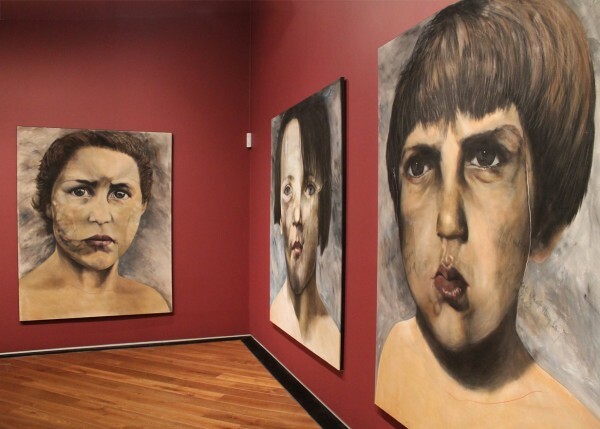 The faces are subtly disfigured in a way which is reminiscent of her collage work but also directly points towards both the suffering of children in warzones abroad and the abuse of children at home. The heads of these young adolescents dominate the composition of these paintings, leaving the viewer unable to avoid their gaze or ignore their loss of innocence. The exhibition is being held less than an hour from Vaucher’s home at Dial House, which has been run as an open house where artists, musicians and activists have been free to come and stay since 1967. The retrospective is open seven days a week (10am to 5pm) until 9 February 2017 at Lewis Gardens, High Street, Colchester, CO1 1JH. 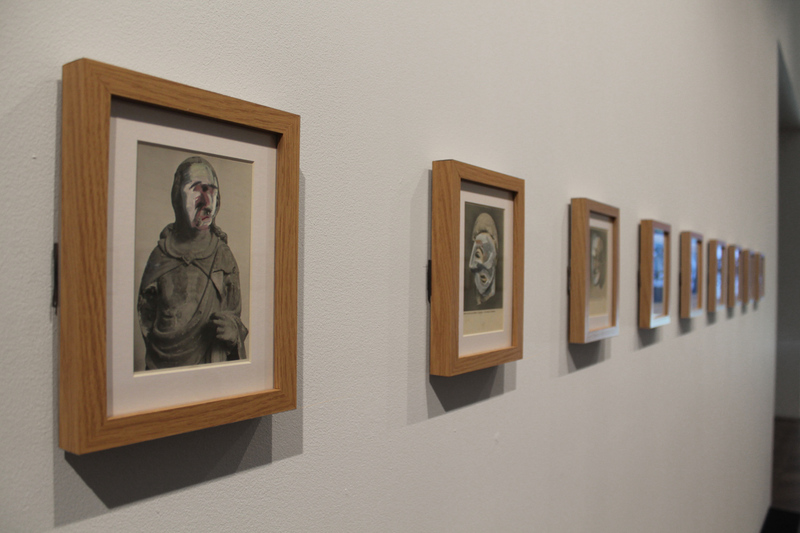 Categories: Contemporary Art, Low Brow & Pop Surrealism, Sculpture, Showing, Shows & Events. Tags: Colchester, Contemporary Art, Crass, featured, Firstsite, Gee Vaucher, Shows & Events, slider-featured.